The WaterJet Support Material cleaning systems from Objet are the perfect compliment to your new 3D Printer. 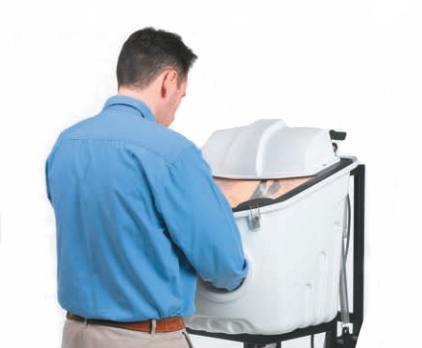 Easily wash away the support material without the need for chemicals or physical effort. Put those scrapers and small tools away, as the waterjet system has the perfect amount of pressure to remove the support material without damaging the prototype. If you’re looking for cross hole deburring brushes with the power to clean and remove imperfections, 3D Printers Canada has the brushes for you. Our cross hole deburring brushes can help remove support material better and faster. 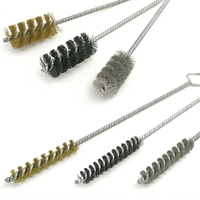 For the best cross hole deburring brushes on the market, view our options and place your order today. If you’re looking to clean Objet 3D printer support material, 3D Printers Canada has the cleaning solution for you. Our cleaning detergent is great for removing hard to reach areas of your plastic prototype. 3D Printers Canada's exclusive detergents are certified and approved. For the best 3D Printing cleaning products on the market, view our options and place your order today.